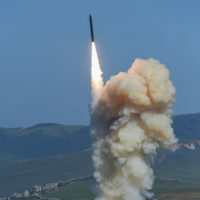 A test of the nation's Ground-based Midcourse Defense system, was conducted from North Vandenberg March 25 at 10:32 a.m., PDT, by 30th Space Wing officials, the U.S. Missile Defense Agency, and U.S. Northern Command. 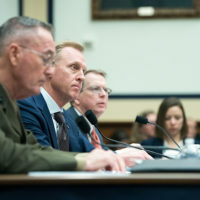 The National Defense Strategy is the undisputed driver of the president’s fiscal year 2020 budget request for the Defense Department, Acting Defense Secretary Patrick M. Shanahan said March 26 on Capitol Hill. 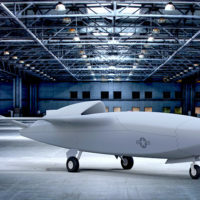 The Air Force office of Strategic Development Planning and Experimentation at the Air Force Research Laboratory is working on fielding a prototype Autonomous, Unmanned Combat Air Vehicle as an Early Operational Capability as early as 2023. 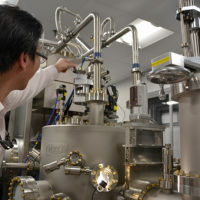 Air Force photograph by Adrienne Kreighbaum AFRL Materials Researcher Dr. Shin Mou shows off the laboratory’s new Molecular Beam Epitaxy chamber, a highly-specialized piece of equipment enabling the growth of semiconducting materials for a new breed of lighter, smaller, more agile electronics. 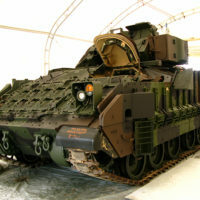 An emerging AFRL laboratory capability is charting a new course for electronics innovation…. 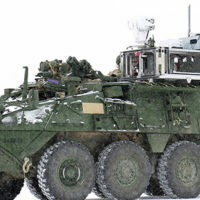 A snowy, frigid February morning didn't stop leaders and stakeholders from turning out to view the highly-anticipated Stryker Nuclear, Biological and Chemical Reconnaissance Vehicle Sensor Suite Upgrade program demonstration. 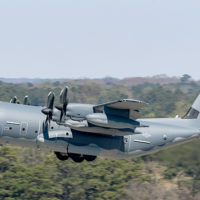 Lockheed Martin has delivered the first of four HC-130J Combat King II aircraft today to representatives from the New York Air National Guard’s 106th Rescue Wing. 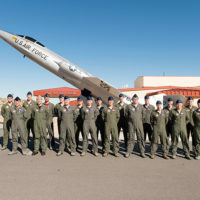 This HC-130J will be operated by the 102nd Rescue Squadron at Francis S. Grabreski Air National Guard Base, N.Y.